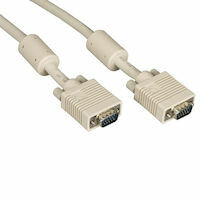 Use to receive VGA video, stereo audio, and serial signals over CATx at distances of 1000 feet (300 m). 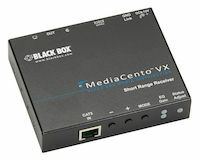 Use ordinary copper UTP cable to distribute analog RGB video to a remote room with the MediaCento™ VX system. When receiving signals from a compatible transmitter in the family, this receiver enables VGA video along with stereo audio and serial signals to be distributed up to 1000 feet (300 m). The MediaCento VX Long-Range Receiver comes with a standard 3 Year Double Diamond™ Warranty (Standard) already included.